Boatbookings blogged about BLUE PETER last year after Tom from the Boatbookings.com team spent an fantastic afternoon sailing on her. We’re very pleased to tell you that she has some remaining availability in the Caribbean this Spring, 2014! 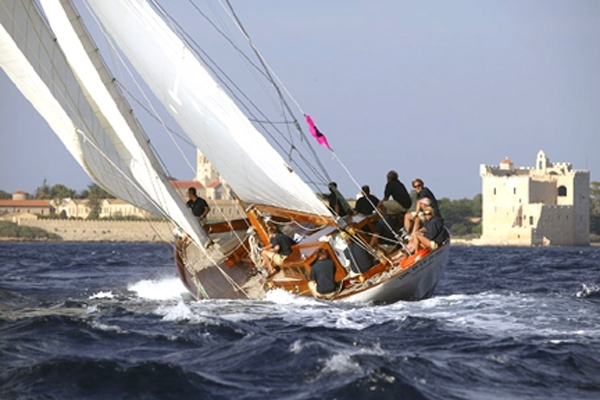 Here are 3 amazing propositions for charters on this beautiful classic yacht in the Caribbean. The Blue Peter at Full Tilt! 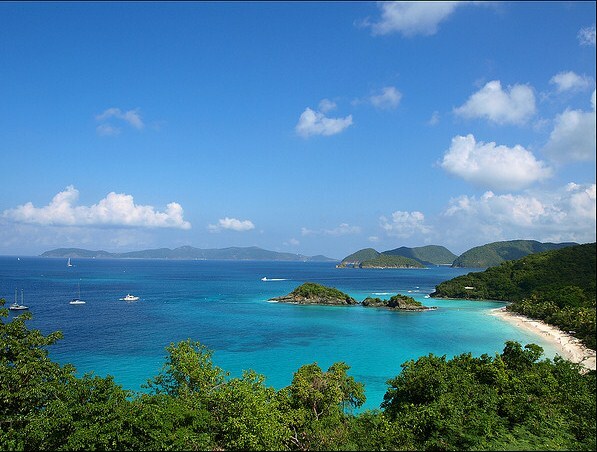 Absolutely some of the most beautiful Caribbean islands! Mat and crew will take you on this unforgettable Caribbean tour in style, travelling from island to island, anchoring off gorgeous white sandy beaches, allowing you and your guests to swim ashore, snorkel, or simply relax whilst the crew cooks up some delicious fresh food for you and serves you the rum punch! That’s really hard to beat! Option 2 is all about racing! 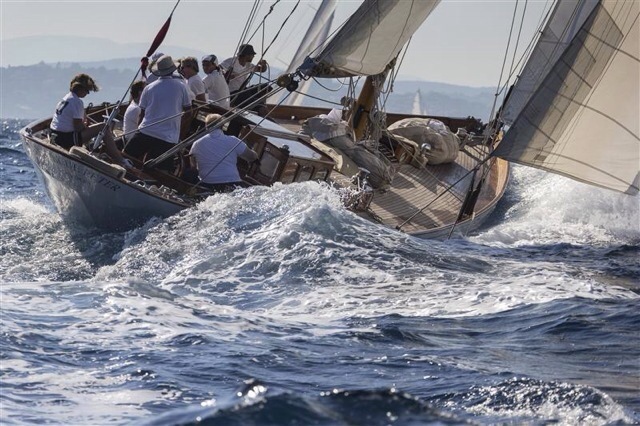 After being picked up in St Maarten on the 27th March you’ll be taken to St Barts to watch ‘The Bucket’, a world-famous Superyacht racing event around this great Caribbean Island, this is not to be missed! 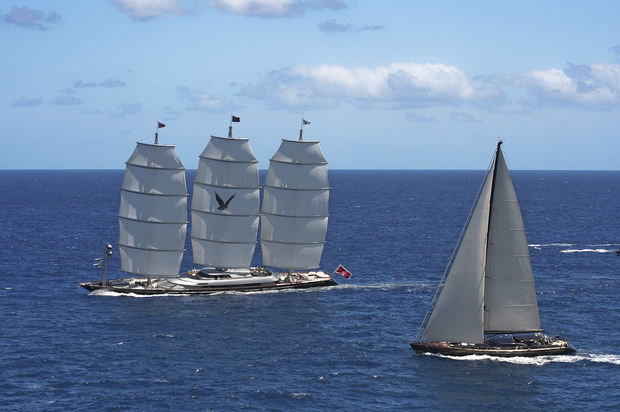 From St Barts, Captain Mat will sail you on 100 miles down-wind to the BVI. There, you will take part in the BVI Sailing Festival.Super sailing in the day and great partying at night! To finish up, the BLUE PETER will cruise to the unbelievably attractive Joss van Dyke Island and Virgin Gorda Sound to chill out before returning back to St Maarten for the 5th April – what an awesome trip! Option 3 is just simply relaxation and admiring the beauty of the Caribbean. From Antigua to the BVI, it’s a super downwind sail. En route, Captain Mat navigates past some lovely islands allowing you admire them and enjoy the golden beaches and glistening water that surrounds them. Once you reach in Tortola you’ll be dissapointed to leave on the 5th May. If any of these options have taken your fancy, contact us today at Boatbookings.com, here!